They say that necessity is the mother of invention, and that was never so true as with this nifty little recipe! I mostly just wanted to use up the assortment of veggies that were starting to collect in my refrigerator before they went bad, so I gathered up a few things I had on hand, which included a can of refrigerator biscuits and a jar of pesto sauce. As it turns out, they were delicious! I’m not sure if it was the yummy pesto sauce or the fact that I called them “cupcakes,” but both girls (and my husband too) went absolutely crazy for this recipe. They polished off their plates 2 nights in a row–practically licking them clean–even though it was chock full of things like Brussels sprouts, broccoli, & mushrooms. Oh, what a difference time can make in the great Battle of the Vegetables! Step 1: Preheat oven to 400 degrees; wash and chop vegetables into small bite-sized pieces. If you use carrots slice very thinly. Step 2: Place 2 tablespoons of olive oil in a large, deep bowl. Add salt, & pepper. Whisk until well blended. Add vegetables and stir until all vegetables are well coated. Step 3: Line a large cookie sheet with tin foil and spread 1 Tbsp olive oil on pan. Then pour out vegetables in a single layer. (Save the bowl for later!) Roast vegetables for 25-30 minutes, stirring once. Step 4: While vegetables are roasting, open biscuits and peel the layers to split each one in half so that you have 16 round, half-height biscuits. 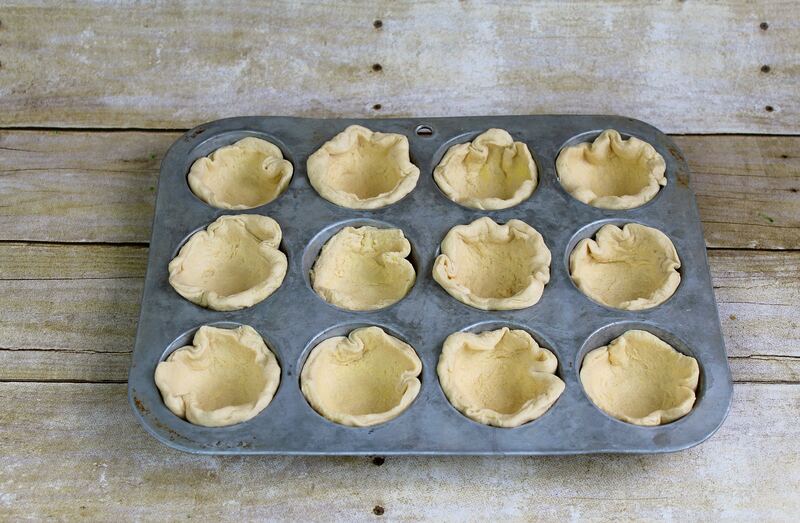 Spread them into greased cupcake tins or un-greased silicone cupcake pans to make little cups. Step 5: When vegetables have finished roasting, remove from oven, place back into large bowl. Add jar of pesto and 1 cup Parmesan cheese to vegetable mixture and stir well. Reduce oven temperature to 350 degrees. Step 6: Carefully spoon vegetable mixture into each biscuit cup, fill each one generously. Finally, top each one with shredded cheddar cheese and bake uncovered at 350 degrees for approximately 15-20 minutes, until biscuits are golden and cheese is melted and bubbly. Step 7: Makes 16 cupcakes. Refrigerate leftovers in muffin tin covered with foil. To reheat, bake covered with foil for 20 minutes at 350 degrees. *You do not need to grease a silicone cupcake pan as the cupcakes did not stick like they do in an un-greased metal pan. Be sure to grease a metal pan! 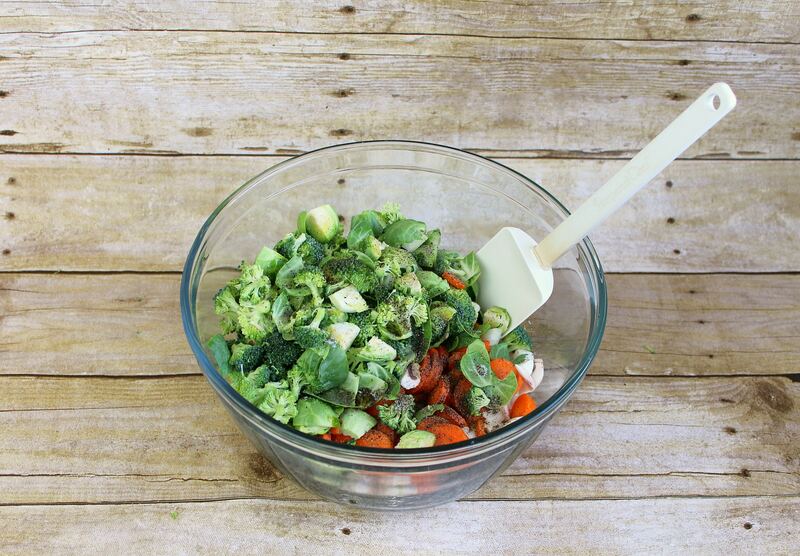 The perfect recipe to use up any leftover veggies. 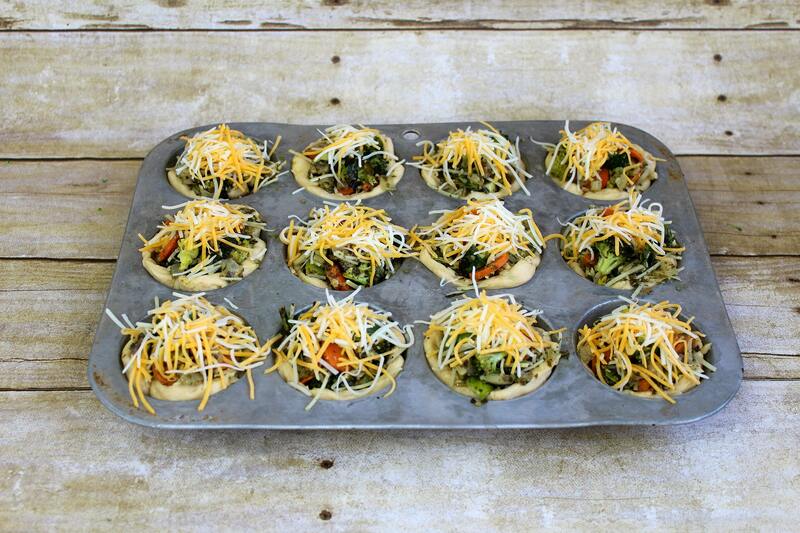 Preheat oven to 400 degrees; wash and chop vegetables into small bite-sized pieces. If you use carrots slice very thinly. Place 2 tablespoons of olive oil in a large, deep bowl. Add salt, & pepper. Whisk until well blended. Add vegetables and stir until all vegetables are well coated. Line a large cookie sheet with tin foil and spread 1 Tbsp olive oil on pan. 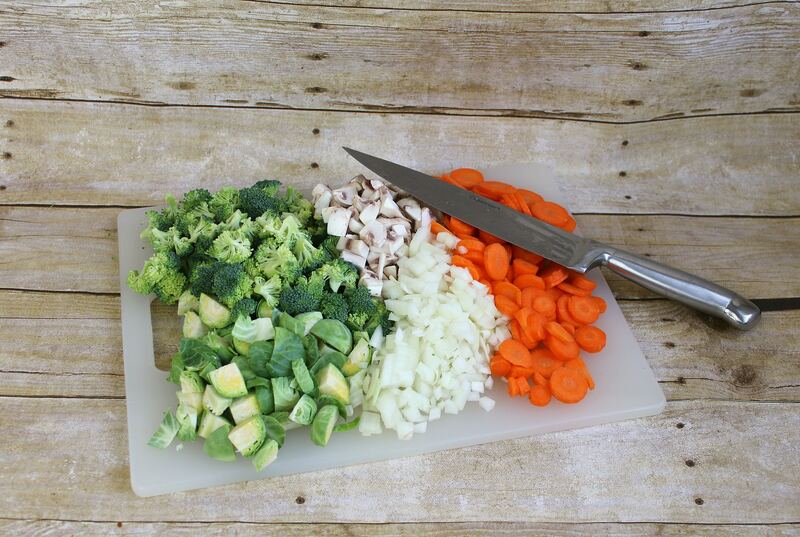 Then pour out vegetables in a single layer. (Save the bowl for later!) Roast vegetables for 25-30 minutes, stirring once. While vegetables are roasting, open biscuits and peel the layers to split each one in half so that you have 16 round, half-height biscuits. Spread them into greased cupcake tins or ungreased silicone cupcake pans to make little cups. 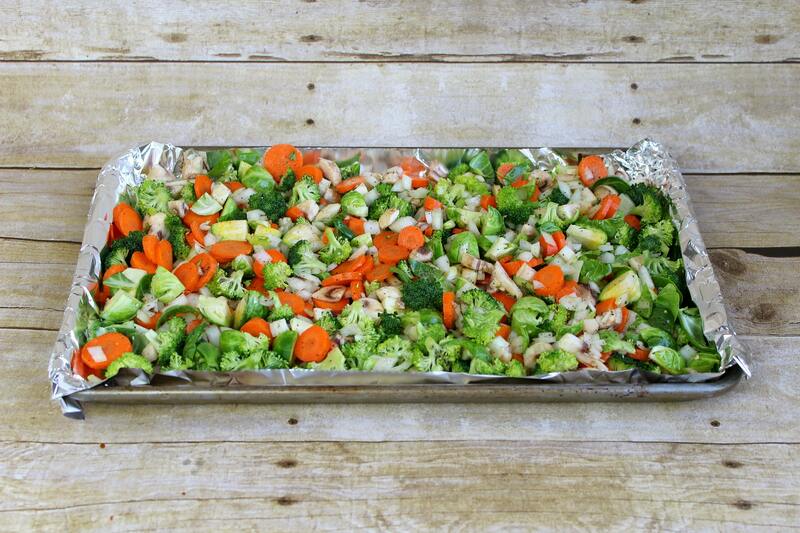 When vegetables have finished roasting, remove from oven, place back into large bowl. 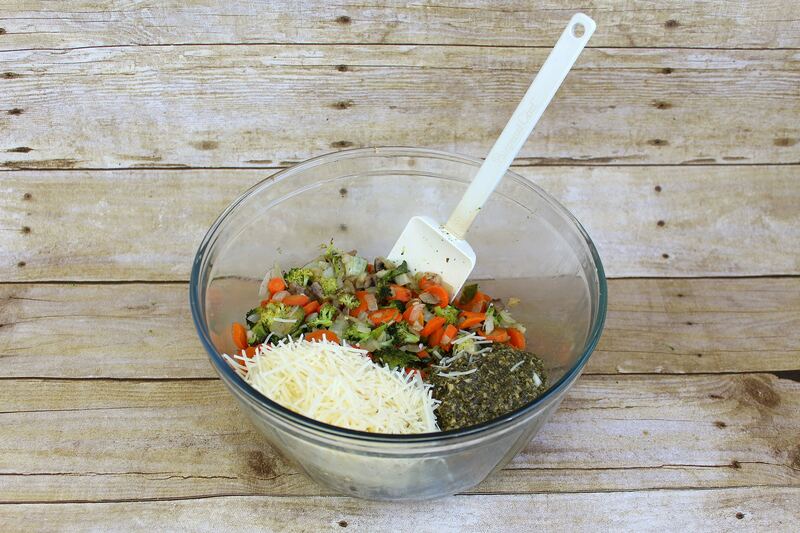 Add jar of pesto and 1 cup Parmesan cheese to vegetable mixture and stir well. Reduce oven temperature to 350 degrees. Carefully spoon vegetable mixture into each biscuit cup, fill each one generously. Finally, top each one with shredded cheddar cheese and bake uncovered at 350 degrees for approximately 15-20 minutes, until biscuits are golden and cheese is melted and bubbly. Makes 16 cupcakes. 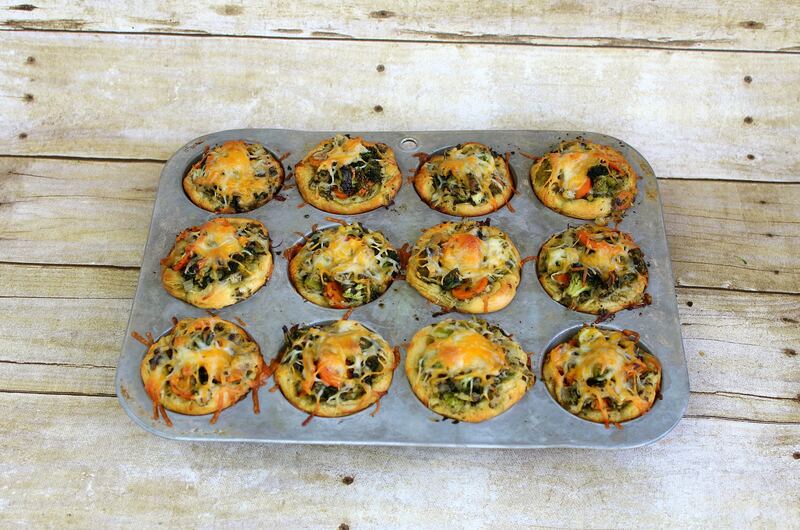 Refrigerate leftovers in muffin tin covered with foil. To reheat, bake covered with foil for 20 minutes at 350 degrees. *You do not need to grease a silicone cupcake pan as the cupcakes did not stick like they do in an ungreased metal pan. Be sure to grease a metal pan! These look so so good! I know they’re a meatless recipe, but as the meat lover I am, I couldn’t stop thinking about them with chicken and bacon in the mix! Love love the recipe! 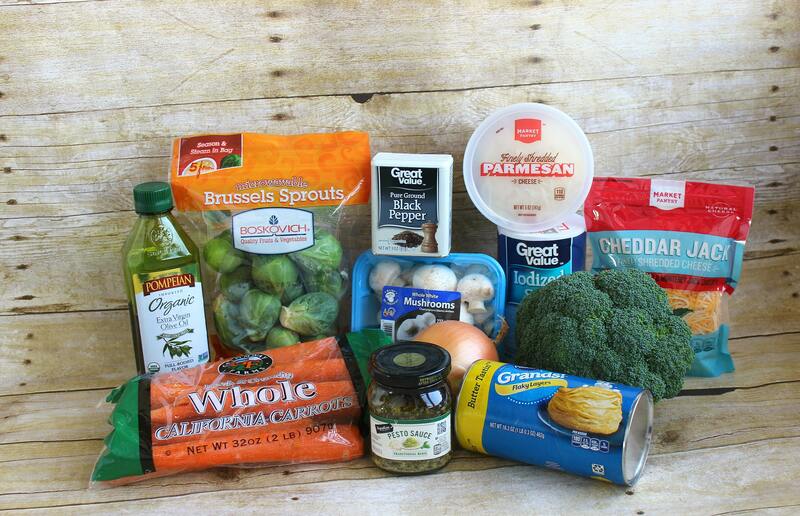 I will definitely add the Biscuits to my grocery list for next week! Trying to get the kids to eat more vegetables, you asked? Heck, I’m trying to get myself to eat more vegetables!! This recipe looks intriguing. 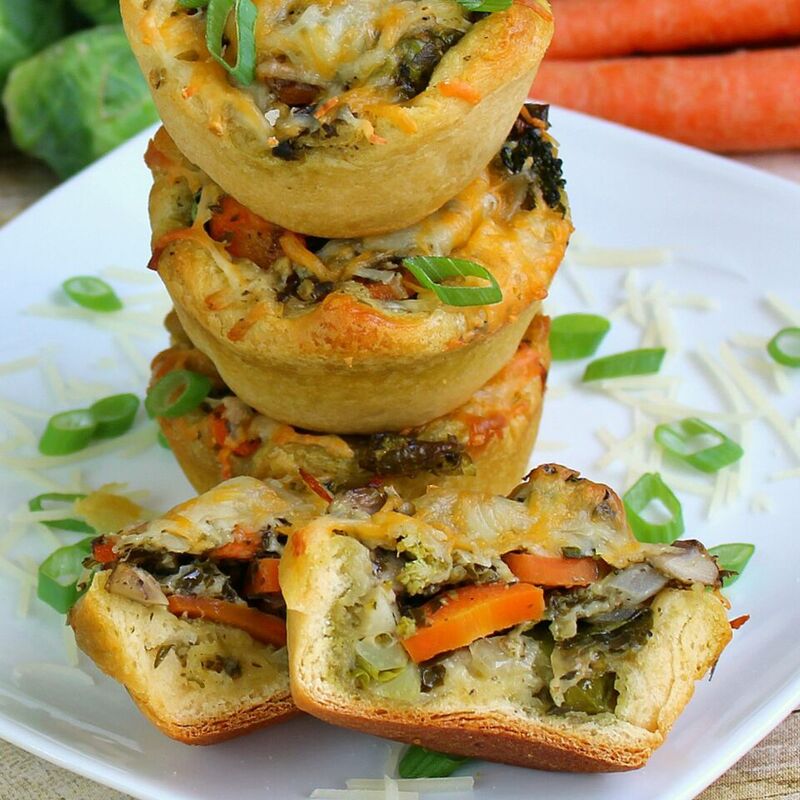 Wonderful vegetable cupcakes. I always look for new recipes and now i know what i am cooking this friday. Thank you! I would recommend a cold brew coffee with almond milk like this here https://cancancleanse.com/index.php/nut-milks/cold-brew-coffee/ as a drink to this meal. Coffee energizes and it is refreshing because it is cold. Although without sugar, it is not bitter at all. Delicious in a combination with the veggie pancakes. 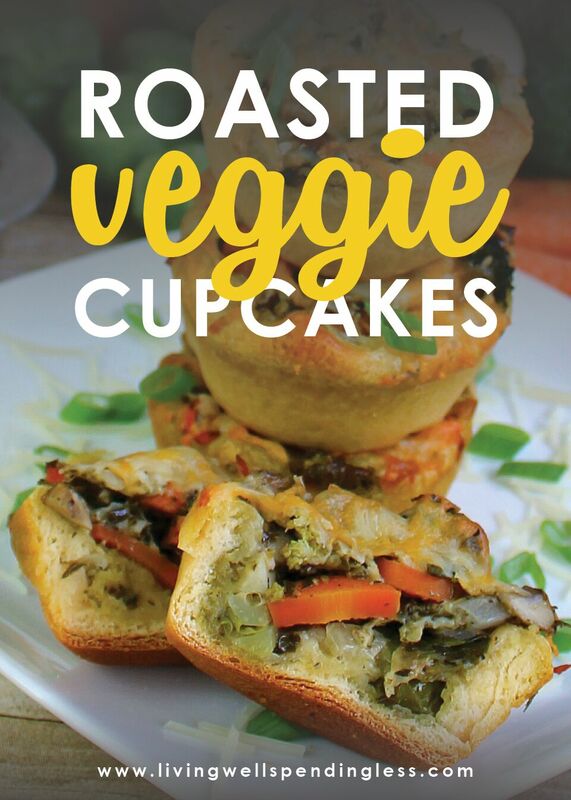 What a great idea with these veggie cupcakes! I will take them to work. Oh, cold coffee with almond milk is not bad, too.